For making your blog fully search Engine optimized you must do all necessary steps for increasing it. One of all important things for achieving your goal is adding mega tags to blogger. So, that the searching of keywords of your blog is easy. Adding mega-tag to your website is a smart way of bringing traffic to your website. 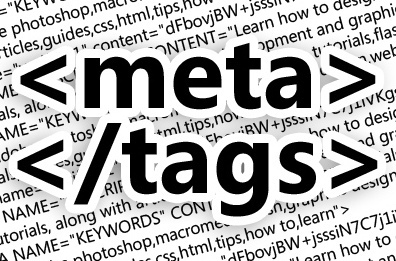 Here in this article you will get all the information on what is meta tag, how to add it to blog and how it is helpful. Let’s first start with : what is meta tag? and then how to add Meta Tags for Blogspot. The meta-tags are the tags that describe your website and tells the search engines that what your website is all about. Meta- tags allow search engines to index your webpage more accurately and with greater speed. Many Meta Tags Generator are found to Create Meta Tags, but you don’t need these Meta Tags Generator. Here I have brought you with best SEO rich meta tags. Meta tags help in indexing your website in the different search Engines. It helps in increasing traffic to your website by large amount. Your website is easily crawled by search Engines. Thus this will also play it’s part in increasing page-rank. This description is shown when you search for your website on google. Here are some easy steps on how to add meta tags to blogger. Just follow these steps for Adding Meta Tags to Website. 4. Now replace your Blog description for Description Meta Tag, Keywords, author name and email address. 5. Now you are done with all now you have made your website fully SEO optimized with meta tags. 6. You have added the List of Meta Tags that are best for your blog. I thing you have added these meta tags into your website and have made it fully optimized. If you liked the post then do comment and share your response with us. Good one and quality information.